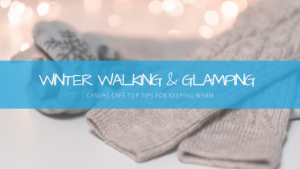 Winter Walking and Glamping: Canvas Café Top Tips for Keeping Warm. As you know, we simply love the great outdoors and getting outside for a good walk! 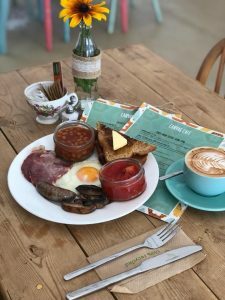 We’re particularly fortunate, as the Canvas Café and Country Bumpkin Yurts are located on the border of two beautiful counties (Leicestershire and Northamptonshire) both of which offer a number of lovely, peaceful walks. Don’t let the cold British weather put you off getting outside! We’re here to share our top tips for keeping warm while winter walking or glamping. Winter is actually one of our favourite seasons to get out for a walk. The air is crisp and fresh, and we love an excuse to get wrapped up in all of our woollies. Plus, we think nature looks even more stunning when coated with a glistening layer of frost or even snow. 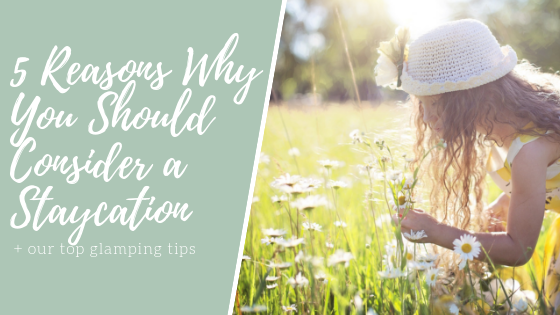 Staying indoors for longer periods of time over the winter months, with very limited exposure to the outdoors, combined with changes in heating levels can make you a little drowsy and occasionally even headachy. Nothing refreshes and re-grounds you quite like a hit of frosty air. We would advise wearing 3 layers on your top half: a long sleeved t-shirt, a jumper, and a warm coat. On that note, make sure to choose your coat wisely. A coat that rides up above your hips will create an unwelcome draft and let out all of that body heat you’ve been creating! Similarly, a coat that is too thin will allow the cold wind to blow right through it. As your mum told you as a child, “Don’t forget your hat, scarf and gloves”. Your mum was right, it’s sound advice. You loose a lot of heat through your head and foregoing a hat is a rookie error. Keep all of that heat in with a nice woolly number. We like a good bobble on ours, but with or without a bobble you’ll feel the difference. In this instance cold hands do not mean you have a warm heart! Having cold hands while walking is never fun, particularly if you have a dog lead to keep a hold of. 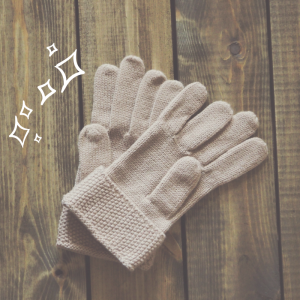 A good pair of gloves will keep your hands toasty. So whether you’re one for wool lined mittens or knitted finger gloves don’t forget to wear them! If you know someone who is into knitting the chances are you will have already been gifted a scarf or two. We love a good scarf, and wrapping something woolly or fluffy around your neck really will keep the chill away when the wind whips around you. In opposition to all of our other tips that advise more layers, don’t try wearing two pairs of socks! This can actually make your feet colder and even cause blisters. Instead choose the right pair of socks, a good pair of thermal outdoor socks will do wonders, you will never suffer from cold toes again. Utilising the hot water bottles at Country Bumpkin Yurts has to be our number 1 tip. Hot water bottles feel extravagant and luxurious when glamping, and the added warmth really does make climbing in to your yurt bed feel extra toasty and cosy. In the winter months we kit each of our yurts out with a hot water bottle. Again, socks are essential, a good pair of socks with keep your toes and you snug while you sleep! Lighting the log burner in your yurt is a must. The space heats up quickly and the burning logs create a warm and cosy environment to relax in, you certainly won’t be shivering with the log burner on. Read our guide to winter glamping for more tips on keeping warm and making the most out of a winter glamping holiday. And finally, make sure you pop in to the Canvas Café for a hearty hot breakfast and steaming hot drink. Considering a winter glamping holiday? We say do it, do it, do it! You can check availability for Country Bumpkin Yurts here.